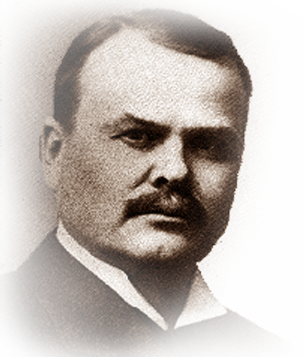 Theodore Gary began his career with the purchase of an exchange in Macon, Mo, in 1897. He soon began to pursue acquisitions and mergers operating under the name of Theodore Gary and Company, which merged with GTE in 1955. At the time of this merger, the Gary Group was operating in 15 states in the U.S. and internationally in Italy, Belgium, Yugoslavia, Australia, South America, Dominican Republic, Haiti, England, Philippines and Canada. He built a world-wide organization. Gary effected the consolidation of the Kansas City Home and Bell Telephone in Kansas City, the largest physical consolidation up to 1922. He was instrumental in bringing before Congress the principle that telephone was a common carrier. In 1908, he served as president of USITA. He was active in Missouri State government affairs, founder of the Macon Hospital and Macon Public Library, a Trustee of the Oakwood Cemetery and Missouri Historical Society. He also wrote articles that were published by the Saturday Evening Post, And Book of Macon, Telephony and the American Historical Society. He died in 1952.